Milan is considered a leading global city, perhaps most famous for fashion, art and design. 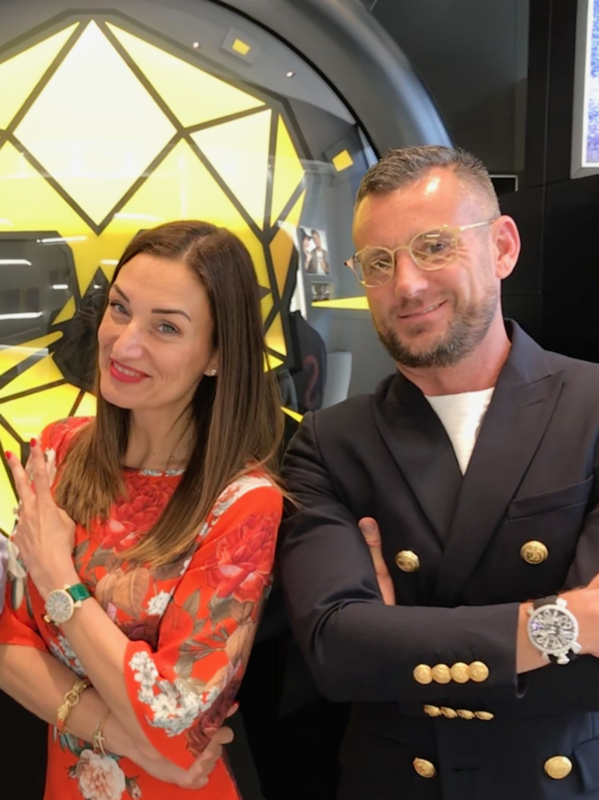 Well that was exactly what we experienced when we met Ruben Tomella and Cristina Bonetti, the husband and wife team behind one of the most exciting and eclectic watch brands, Gagà Milano. Their stylish boutique is right in the heart of this vibrant city. 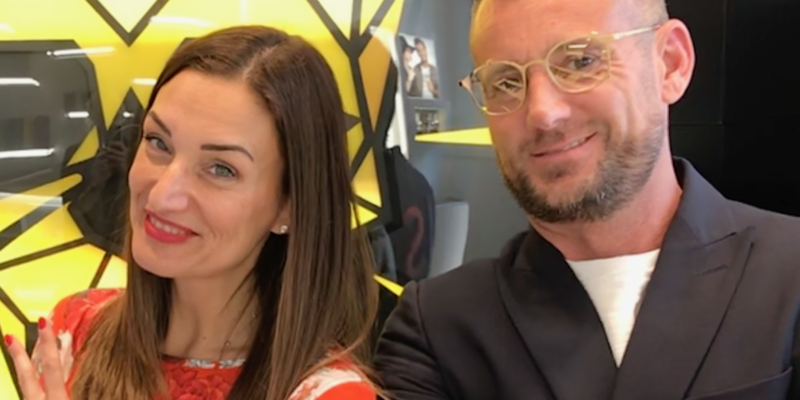 We had the great pleasure to sit-down with Ruben and Cristina to discuss their thoughts on business, current industry trends and future plans for the brand. 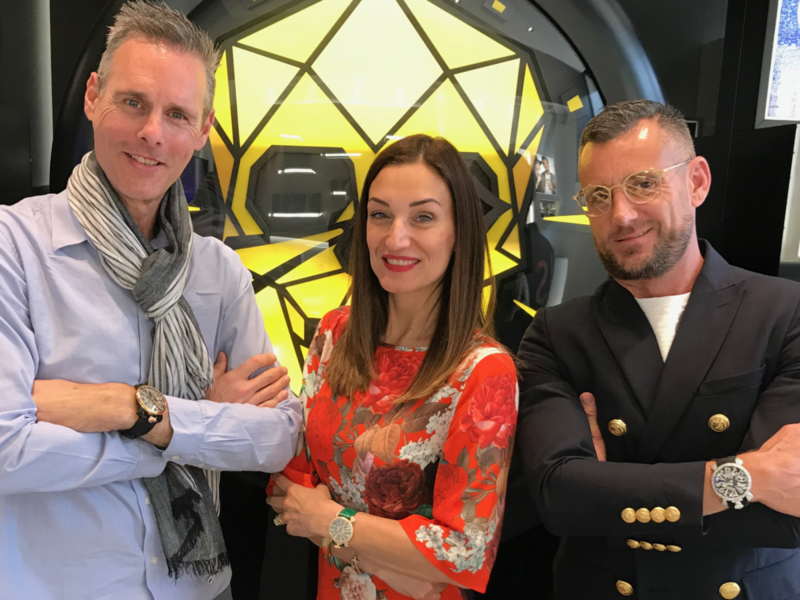 We are delighted to share there views and give you a fascinating insight into what inspires them and drives them forward. 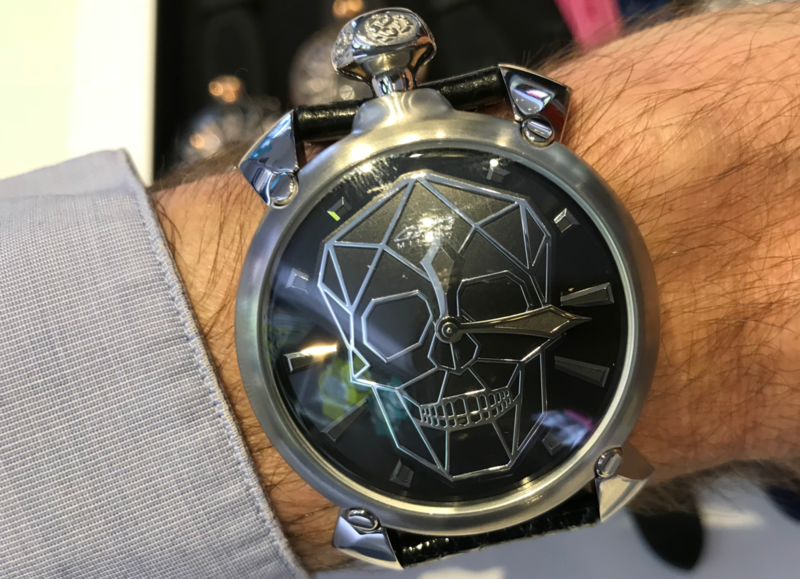 CB: Pretty good, trying to realise new business after a successful Baselworld. RT: The market at the moment is pretty ‘stuck’ but we are optimistic and we aim to open in new markets over the few next months. 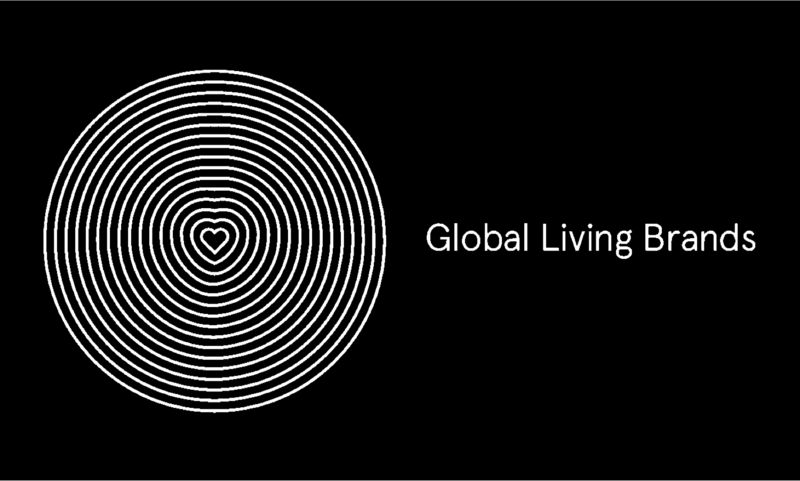 Our one brand boutique in Sao Paulo will open soon and we are trying to finalise one in Miami. CB: I’m trying to push summer sales in existing markets and trying to open new ones. RT: I never stop so I’m taking care of the production of the models launched in Basel 2018 but I’m already thinking about new models for next year. I’m preparing also something special for Neymar Jr, our ambassador, to wear during the World Cup. We also discussed their latest collaboration with Inter Milan or F.C. Internazionale as they are known in Milan – Ruben is a huge fan! Gagà Milano are Official Timekeepers and have designed a watch of character and style which reflects the values and tradition of one of the world’s most renowned football teams. 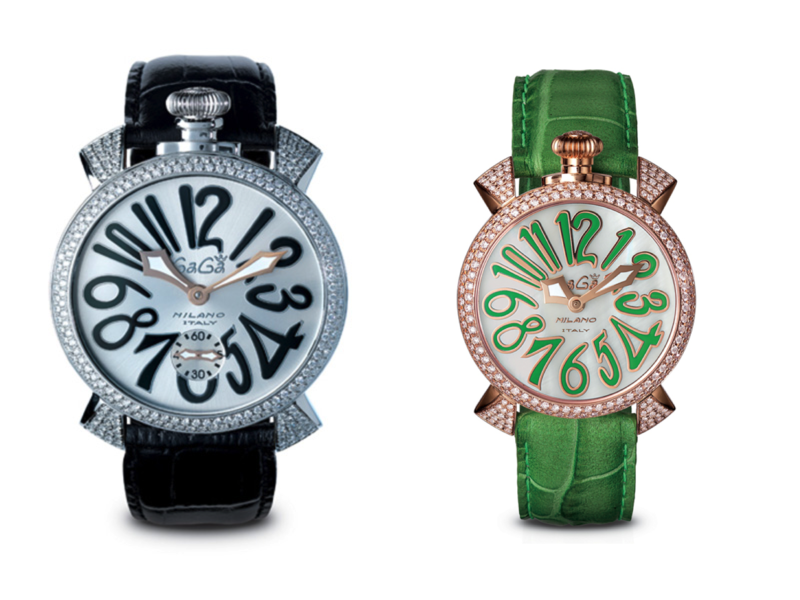 MWM: Tell us something we don’t know about GaGa Milano watches? CB: The idea of the name Gagà came from my father in law. RT: In 2008 we were about to give up but in the end we found the courage and the strength to carry on. 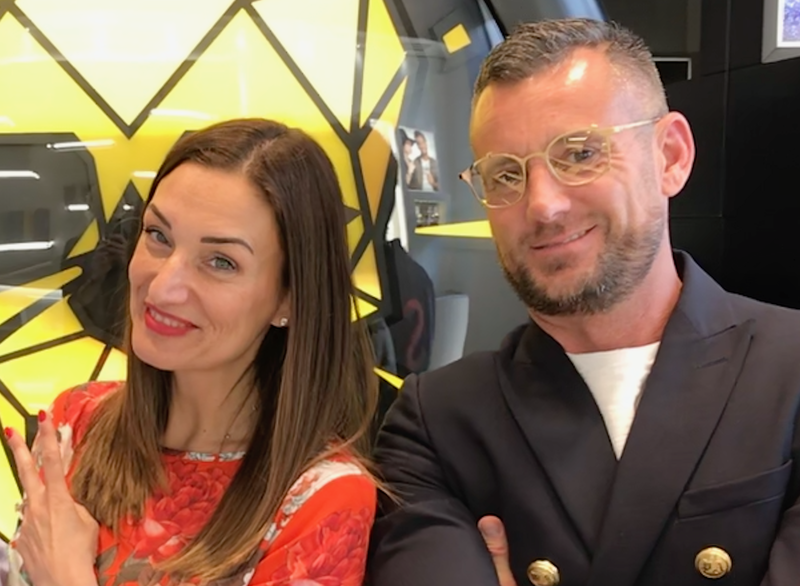 In our extended interview (below), you can hear the full story of what inspired Ruben and Cristina to carry on and succeed in creating their fantastic brand in the face of adversity. CB: I’m mad about rose gold and diamonds in 40mm. RT: I change everyday but usally I wear 48mm with diamonds too. CB: I’ve always liked Patek Philippe 24 hour lady in rose gold. RT: I’ve got many watches (in my safe) but would like to buy a Patek Philippe Sky Moon. CB: I like the fact it gives us the chance to meet special people from this field but not only. RT: It was my dream job, to be part of this world, I just love it. 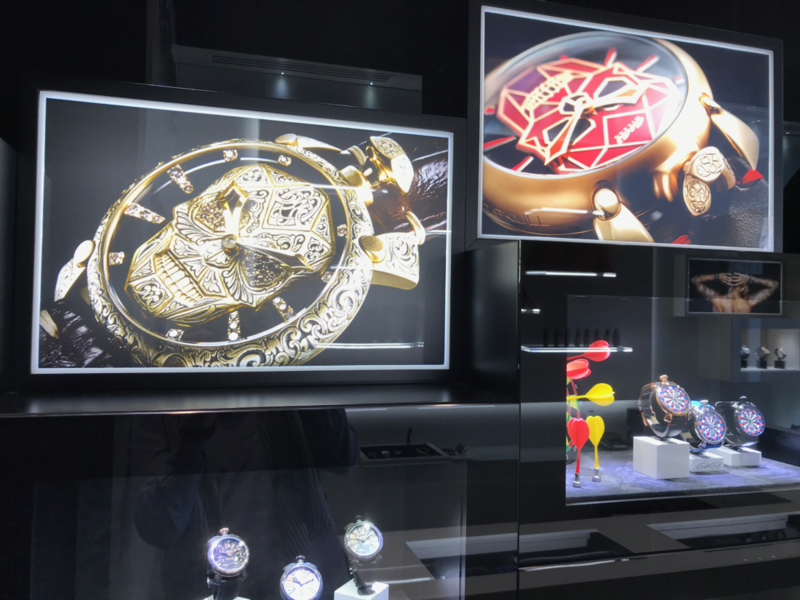 CB: We should have more women working in the watch business; there we are just a few compared to the men. RT: I don’t like that most of the brands are no longer independent because they have been bought out by big groups. RT: Expand business in most of the countries. Cristina explained that this was a critical focus for the next six to twelve months.